At some stage, virtually every business needs a little extra cash. It could be that firms need to borrow money to help them to pay their bills during a slow period, or that they need cash to fund the purchase of new plant. Whatever the reason for the loan, a commercial finance broker can help a business to secure the money that it needs. Unlike many other financial institutions, commercial finance brokers offer a range of ways to borrow. Here are just a few of them. Most companies raise invoices, so can potentially take advantage of invoice discounting or factoring. These forms of finance are designed to provide flexible short-term loans. They are effectively loans that are secured against a firm’s invoices. 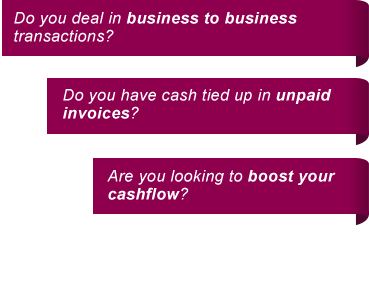 It is possible for firms to borrow against all of their invoices or just one of them. If they want to, they can borrow in this way every month or just occasionally. It really is one of the most flexible ways to borrow money. A good commercial finance broker will be able to arrange loans of up to 90% of the value of the invoice. That means if a company has an invoice for the value of £1,000, it can potentially borrow £900 against that particular invoice. When the client pays the invoice, the loan is paid off along with any fees. The main difference between factoring and discounting is who is responsible for making sure that clients pay their invoices so that the loan can be repaid. With invoice factoring, the lender is responsible for the collection of the funds, while with discounting the company borrowing the money still has to ensure that its clients pay their invoices. Invoice discounting and factoring are the two most common services that commercial finance brokers offer. However, more well-established and experienced brokers offer a range of other ways to borrow. Asset financing is one of those additional services. As the name suggests, it allows companies to borrow cash against their assets. An experienced commercial finance broker can easily arrange loans that are secured against raw materials, finished products, property or plant and machinery. All the company seeking financing needs to provide is proof of ownership. The commercial finance broker will then assess the market value of that particular asset to determine how much can be lent. Trade finance is a specialist form of lending. It is designed to help firms that have orders from solvent customers, but do not have the funds to buy the raw materials they need to fulfil that order. In this situation, the broker acts as an intermediary, finding a financier willing to make the loan and arranging that loan on behalf of the company that requires it. At Invoice Finance Scotland, we offer a range of financial products that are easy to use, giving you access to the money you need quickly. If you need some extra cash to help your business to grow and prosper, give us a ring or send us an email and we will quickly explain your options to you.